An astonishing and unique novel inspired by the author’s own story. 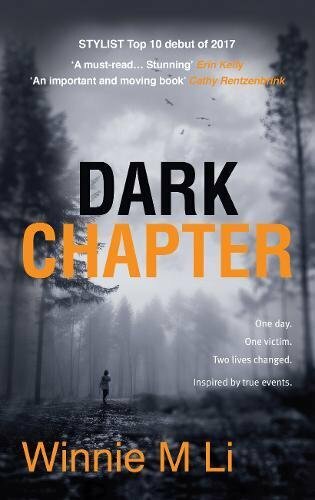 If I could only write one sentence about this book it would be: Dark Chapter is a disturbing and compelling book but quite simply STUNNING! I could no more tear my eyes from the page than I could forget to breathe. 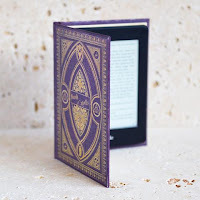 As difficult as it was to read at times, it was quite impossible to stop reading. Vivian has come to Belfast to see the sights, but gets more than she bargained for when she is raped; shocked and stunned, she reports the crime but as much courage as that took, she needs to call on greater strength to see it through. Seeing the crime from both sides is shocking and surprising and I can't even begin to imagine what Winnie M Li has been through in order to call upon such emotions. The Prologue of Dark Chapter sets the pace, where I felt sick with fear and my heart raced with the increasing tension as we hurtled towards the inevitable conclusion. Although there are no chapters, which usually would annoy me, but in this case I barely blinked, I raced through the 5 parts of the book: part 1 the time leading up to the event, part 2 the aftermath, part 3 the arrest of Johnny, part 4 the trial and part 5 new beginnings. What I found amazing, was that I didn't feel sorry for Vivian, I felt every emotion with her. I felt as if the crime had been committed against my very own person and I was as MAD as hell. 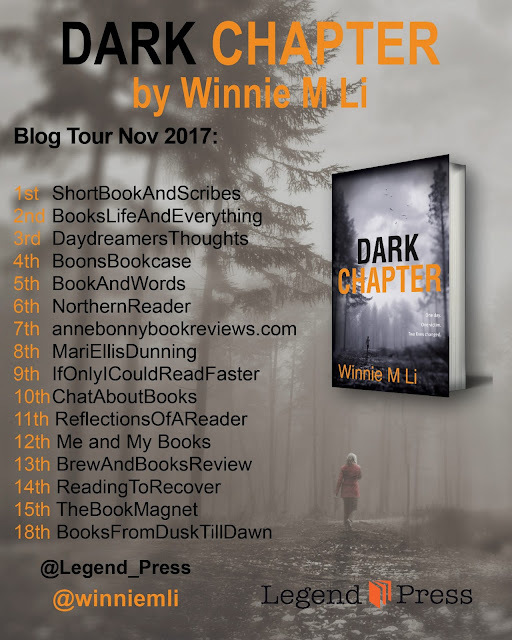 Dark Chapter deserves every accolade that is coming its way, and I'm sure there will be many. To write a book filled with such emotion showing both sides of a story is nothing short of exceptional. As such abuse seems to be in the news recently, this is a book that is both very current and also very timeless. 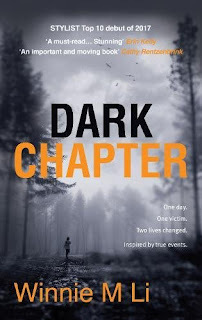 Seeing the story from both sides is both mesmerising and jawdropping, making Dark Chapter an absolutely stunning work of fiction, with a disturbing ring of truth.